Have you Got Any Idea Why your Customers Really Buy? Have you Got Any Idea Why your Customers Really Buy? You might think that customers buy what you do or offer. They may love your products and services (or so you believe) but the reality is that they don’t. You need to be aware that customers don’t buy what you do. They buy what you do for them. They aren’t at all interested in your new-fangled super-duper widgets. They’re not interested in your fabulous website or lovely brochures no matter how much effort you’ve lovingly put into them. Customers are only interested in one thing, themselves. They are preoccupied by their own issues and how whatever you offer can help them do whatever it is you claim to do and they need. Sellers often confuse features and benefits. They tout their wares to whoever will listen and reel off a long list of things that they or their solution is or does. In other words, they focus on features not benefits. The problem with this strategy is that customers simply don’t care. The sooner you work this out the sooner you will sell to them. The key is to connect on their level. That means tuning in to what they need; what challenges they have: the things that keep them up at night. When you do this, you achieve two key objectives. First, you build rapport since you sound more sincere and come across as genuinely interested in them. Considering that people buy people, that’s not a bad kick off point. Second, you’re more likely to get them to open up about what they need and how you can help. So, how do you do this? Firstly, you need to rethink your approach to the introduction to the call. Many cold callers (and field sales people) launch in with an explanation of what they do without any consideration for how busy their prospect is and what level of interest they may have. Think customer first. What challenges do they have? What might prick their interest? Start with something that is related to why they buy not what they buy. 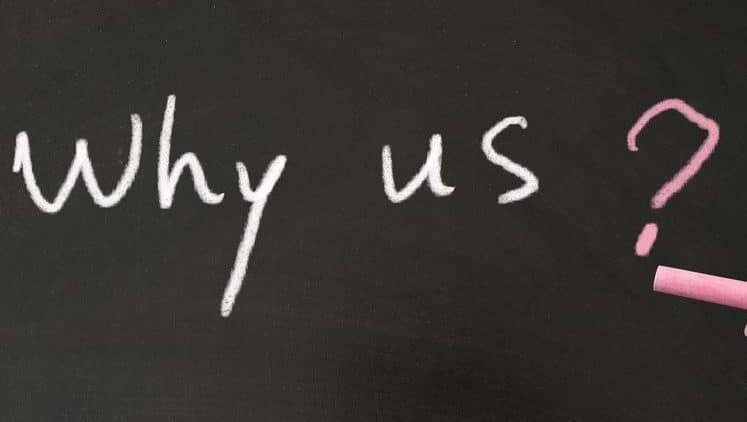 Ask yourself the following question about why customers buy your services. ‘What does this mean for my client?’ If you can answer that question, starting a conversation with that is much more compelling and engaging from a customer perspective. So, if you offer overnight delivery, what does that mean in real terms? Of course, it means that they don’t have to wait for delivery. But it also means that they can service their end customers quicker. It means that they can invoice their customers quicker and generate more sales. It means that their customers will be happier as they don’t have to wait for stock. It means that they won’t risk penalties for late deliveries to their clients. If project penalties is an issue for them, kicking off a conversation about how you help clients reduce penalties is more compelling that just talking about you and your products. If these and others are the kinds of issues your clients overcome by buying from your company, why not lead with one or more of those statements rather than talking about the products or services off the bat? The most important challenges for sales people are to identify customers’ most pressing issues, your most important and unique solutions and the ones that are likely to be most in demand. That’s something that comes from research and experience in any given sector. After all, there’s no point using something on your call intro that everyone offers but no-one cares about! Your first objective during any cold call has to be to avoid sounding like the dozen or so other telemarketers that called the prospect that week. The second must be to quickly build rapport with a prospect. Without these objectives being achieved, there’s little or no chance of a sales conversation. So, take a moment to evaluate how you position your business. Think about the genuine benefits to customers not the features. Work out what your customers really buy and you’ll sell more. If you’d like to know how GSA Business Development can help generate growth for your business through telemarketing or social media lead generation or you’d like to book one of our new business development and marketing strategy workshops, contact us now on 0845 658 8192 or use the form on this site. Is Inertia Preventing your Business from Growing?